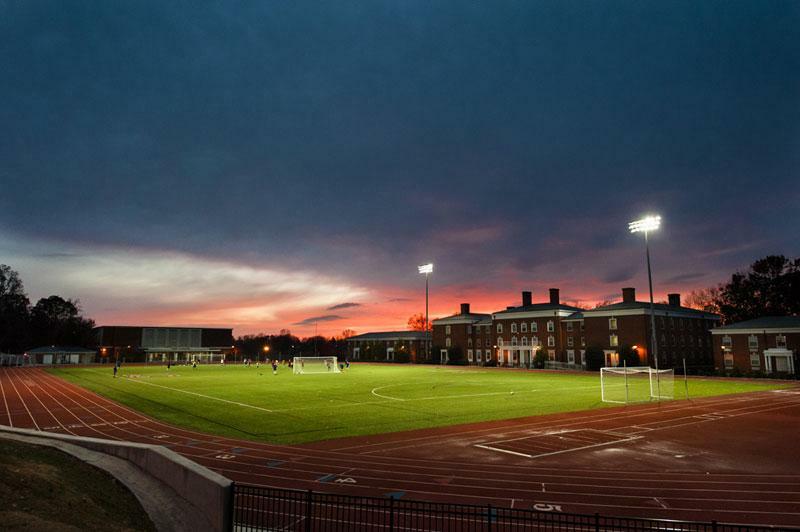 Resurfaced in 2016, field is home to Lynchburg men's and women's soccer, men's and women's lacrosse, and field hockey teams. Shellenberger Field is a formidable venue for visiting teams, with chair and bleacher seating on one side of the field and residence halls on the other, where student crowds gather to cheer on their Hornets, along with "packing the track" to gain even more of an advantage. Since 2006, the field has been home to 25 ODAC Championships, 28 NCAA Appearances, 2 National Championship Runner-Ups, and 1 National Championship.